The third Kendal Walking Festival will be held on 10, 11th and 12th May 2019. The programme includes a SLWC walk led by Nigel and John. 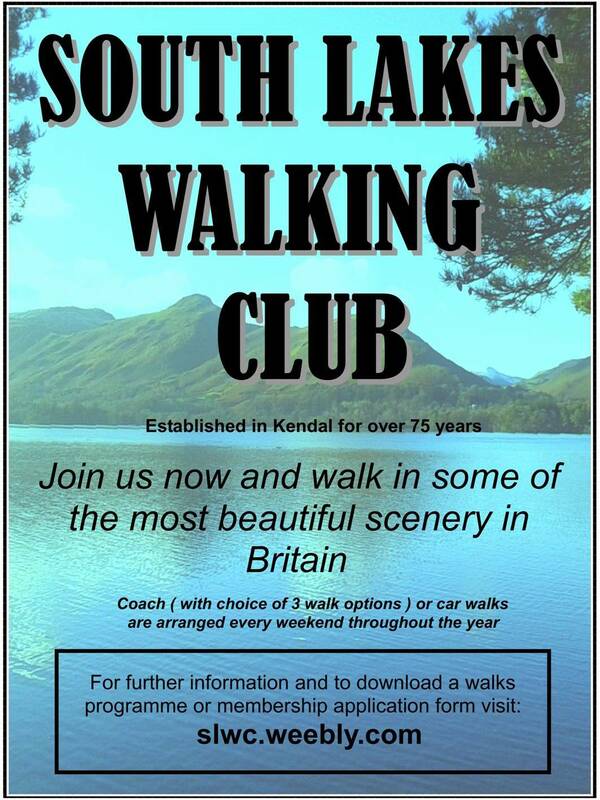 Please have a look at the Festival website and tell others about it, especially those who don't already realise that Kendal is a great base for walks! The 2019 weekend away will be at at Peveril of the Peak. This hotel belongs to HF and is situated in Derbyshire. The cost for a 3 night stay will be £255 per person. This is full board, with packed lunches and afternoon tea on arrival day, or a bonding session at the bar, at extra cost. There is now only 1 twin room left to book: Please contact Social Secretary Corky (see CONTACTS & LINKS) if you are interested. 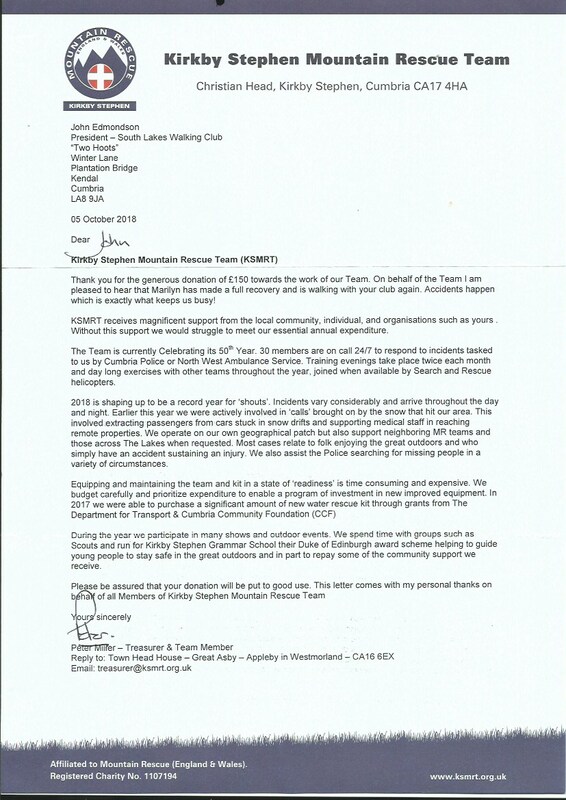 Earlier on 2018 we made a plan to increase the coach fare from £10.00 to £12.00, but only if and when the Club's deficit exceeded £250.00. 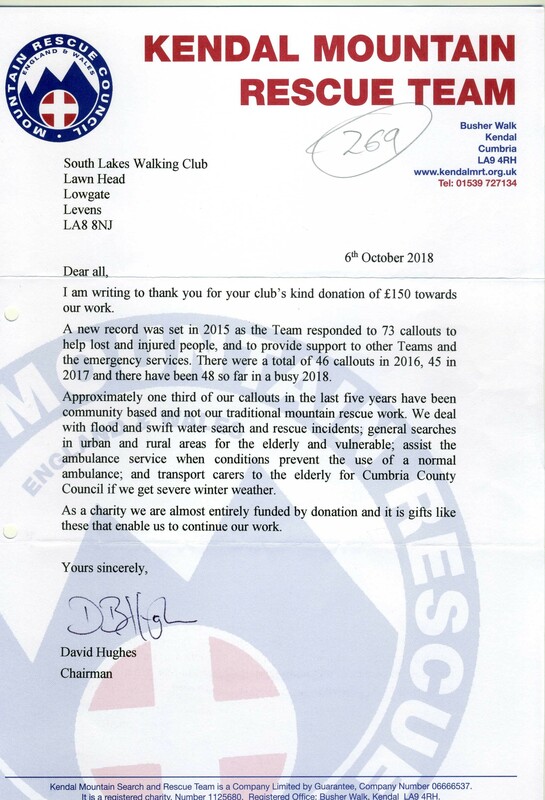 Sadly our deficit reached £284.60, so the £2.00 increase took effect from Sunday 7th of October 2018. We intend to keep the issue of coach fares under review, and who knows, if numbers improve we may be able to reverse this increase. To advertise the club, please download the poster shown here by clicking the link. You can then print and display the poster in a conspicuous place such as your village notice board. If you would like to lead a future walk, please contact the appropriate walks secretary (see CONTACTS AND LINKS page).